A top developer for the Top Gun slot - Top Gun is based on the hit movie of the same name. You remember the one – with Tom Cruise, and Val Kilmer. The problem with Playtech’s Top Gun slot machine is that it doesn’t really do the movie justice. The 5 reels and 243 paylines of the slot do provide you with decent slot gaming, but there’s a major absentee from the title. 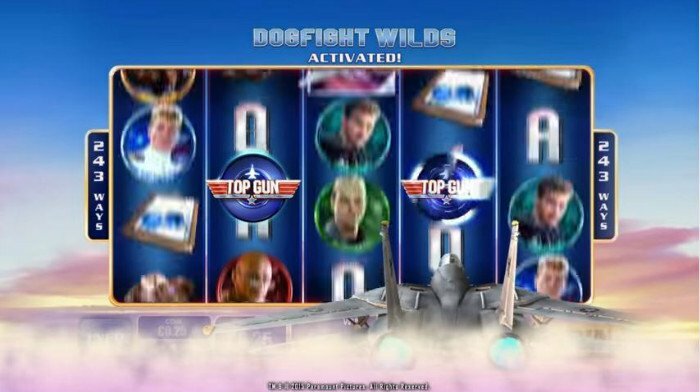 Find out what in our Top Gun slot review. The first thing you will notice about the Top Gun graphics is the lack of any Tom Cruise on the reels. Playtech will have been unable to secure the rights to his image, so this means that Top Gun is lacking its main character. That’s a bit of a shame when they were aiming for realism, and does impact the popularity of the Top Gun game. Your bets may cost a bomb in Top Gun. Players can select coin values of 1p up to £10, but you have no chance of being able to adjust any of the 243 paylines which appear in the slot. As such, you are destined to wager anything from a low of 25p a spin, up to a high of £250 a spin. At least Top Gun has a top prize which makes it all worthwhile. 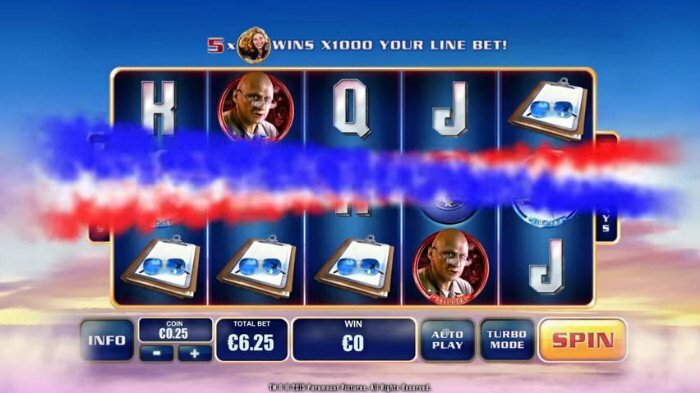 This game is loaded with special weapons to help you take down the non-progressive jackpot. The Top Gun slot features a Turbo Mode is you wish to turn it on, and it enables you to spin those reels really fast. It doesn’t much for your chances of success, though. To boost those, you will need to land Dogfight wilds. These occur in the base game. At any point in the base game, the feature may be randomly triggered. When it is jet will fly across the reels and shoot wilds onto existing symbols. With up to 15 symbols capable of being turned into wilds at any one time, there is no single bigger way to land wins in the slot. Top Gun is a game of two parts. On the one hand, it has features which are very enjoyable and agreeable. On the other, it is lacking some of the most basic Top Gun imagery. You might not think of that as a problem, but it is. How can it accurately call itself Top Gun without Maverick making an appearance? That being said, Russell Crowe (Maximus) didn’t turn up in Playtech’s Gladiator slot, and that has gone on to be a huge success. In the end, whether Top Gun soars high, or gets shot down could be simply down to issues of individual tastes and preferences. 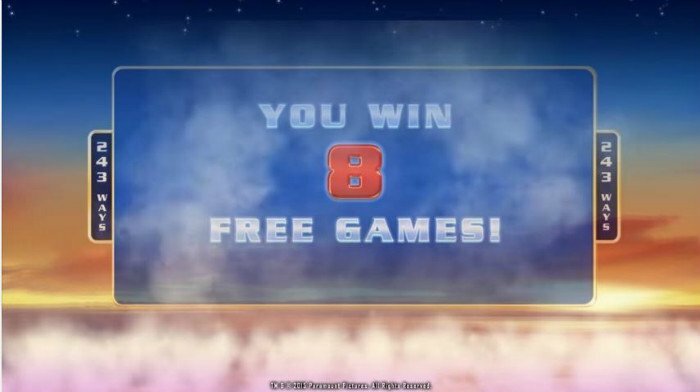 Foxin Wins Slot Machine – You’re in the Money!